I'm Daniel F. Kudwien, 27, and live in Karlsruhe, Germany. I'm relatively tall (~2 m/6.5 ft), so you usually see me in a crowd of people. I love to meet people, do crazy stuff, and think creatively. The latter probably being the reason why I chose early to work on and realize ideas with others, leading to the formation of unleashed mind some years ago, our agency that focuses on Drupal. 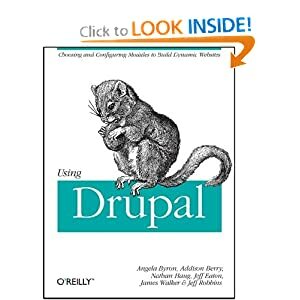 It is very likely that you are using one of the Drupal modules I (co-)authored or took over under the nick sun (mates called me, badly translated and transformed from Mr. Miyagi in Karate Kid, Daniel sun :-D, back in the time I went to school). It all started out back in the time of Drupal 4.7, when a project for a client required us to use a CMS that not only works on the PostgreSQL database, but also allowed integration with another, custom web-application. Until then, our CMS of choice was Joomla! (actually, Mambo first), in which we had advanced knowledge. We knew it by heart and actually fixed a ton of bugs, but never happened to contribute back, since it was a weird, non-transparent process. However, since Joomla! did not support PostgreSQL, we were not able to use it for this project, so we looked around for other Open-Source content management systems. We found Drupal. And to be honest, I found it totally weird and did not understand its logic in the beginning at all. Luckily, my brother, Stefan Kudwien (aka. smk-ka, who works with me), explained it over and over again to me, kept telling me That's how a CMS should work! Let's forget about the awkward Joomla way and start building cool stuff! , and finally convinced me to use it (and learn from scratch!). Of course, we soon found the first bugs. But on drupal.org, everything appeared clean and ordered to me. I started to confirm issues, help out in issue queues by providing support to other users, and also providing information about how a bug could be fixed. It didn't take long until the first maintainer replied Please provide a proper patch! , so I started to train myself in CVS and how to create patches to provide proper patches for bugs we encountered. It felt very good to be able to change and improve the things we were working with, and we quickly realized that this kind of (at that time unpaid) work dramatically simplified the updating services we provided for our clients. Bam! 2 years and 41 weeks later, I know that switching to Drupal was the best decision we ever made. 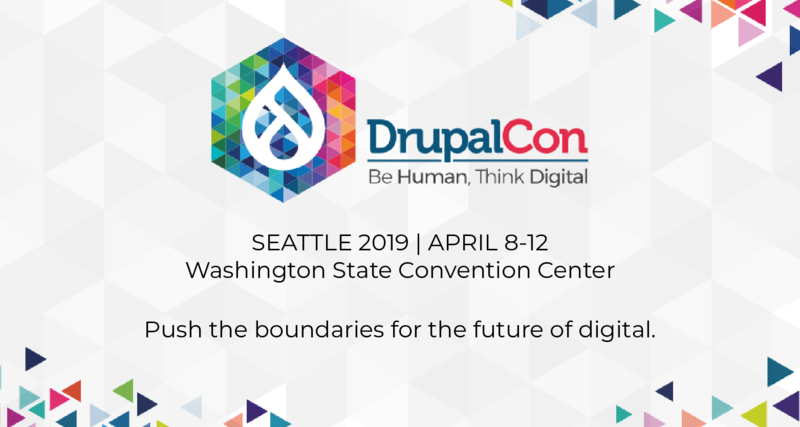 The friendly, vibrant, and innovative Drupal community is so addictive that it is not only stunning to work with Drupal, but also an awesome fun to collaborate with all the contributors. What possessed you to jump into node/8? So on January 1st and 2nd I finally sat down and turned the proposal into patches, and started to get feedback from others. And with each new day I worked (literally) full-time on the patch, the whole thing turned into the challenge: Either now or never. (while never would mean that I would have wasted my time - and there is nothing I hate more than wasting my time, especially when considering that countless people can't await the major Wysiwyg plugin API rewrite that will lead to a whole new content-editing experience in Drupal). Duly noted: a) No one trusted me to get this done. b) Everyone wanted to see this getting done. c) Knowing the who-is-who in IRC helped a lot to directly point the proper questions to the proper people. d) Without the support of #drupal, this issue would not be fixed today. Standards. Anything that emerges in a pace like Drupal and drupal.org needs transparent and clearly documented standards. I cannot count the number of times I marked issues as duplicate, asked for a proper patch, or pointed to the coding standards. New community members want to help and contribute, but have a very hard time to find out how to do so and thus give up earlier than we want to. What we lack the most are quality patch reviews and documentation, both in core and contrib. If we would take this seriously, we would add the same pressure on drupal.org's documentation as on D7's test coverage. I would love to see our documentation evolve and would therefore support anyone who takes on this challenge! However, it is like with 8: at this point in time, we need one or more people that concentrate with full energy solely on this topic and come up with crazy ideas to regain the past failures. A "Project Book" module to attach module handbooks to projects? I'll code it. Require 1 handbook page for each patch? I'll support it. Choosing you as the co-maintainer for D7 was the best decision Dries could have made. You are not only managing intelligently to get more and more developers in contrib back into core development, but also raising the standards for clean, well-documented, and solid code. If my vote would count, I would vote for keeping you as co-maintainer for core in the future. Lastly, Drupal 7 should not be released without eating our own dog food on drupal.org. If we will manage to make the same mistake twice, then we should not expect that we will not face the same issues we had with 6 again. We were all wondering what the next few were, but I didn't have access to do the query. :) This is great! Node 8, we hardly knew ye. I still can't believe how long node 8 was around for. I can't even remember how many times I've hopped on IRC just to go "yo sun, you made module X? dang, I love u man!"